I can’t believe that my son will be one year old this week! This year has gone by so quickly and we are so excited to be celebrating at his birthday party this weekend! I was trying to think of a theme for his party and took inspiration from the plaid outfit I bought for him to wear that day. 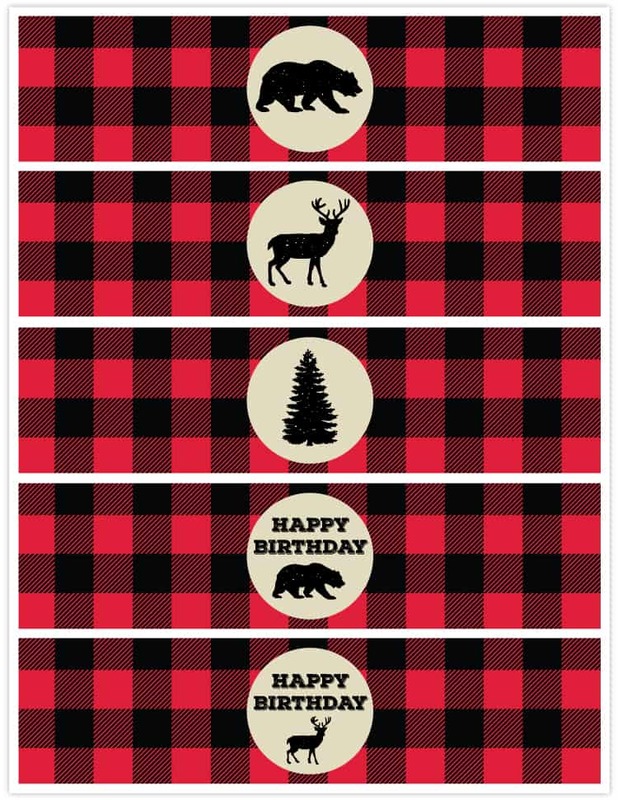 I created a bunch of printable red plaid birthday decorations that are available to download for free! Enjoy! First up, is this red plaid birthday banner. It will print on 7 8.5×11 inch pages, two letters per page. 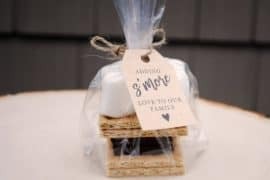 All you’ll need to do is cut out the banners and hole punch two holes at the top, then string them together with some twice for a nice rustic feel. I strung HAPPY on one piece of twine and BIRTHDAY on another right below it. However, there is a blank plaid banner spacer included as well in case you wanted to have everything on one piece of string. Another fun option would be to clip each banner to a piece of string with mini clothes pins. Click here to download the printable banner pdf. 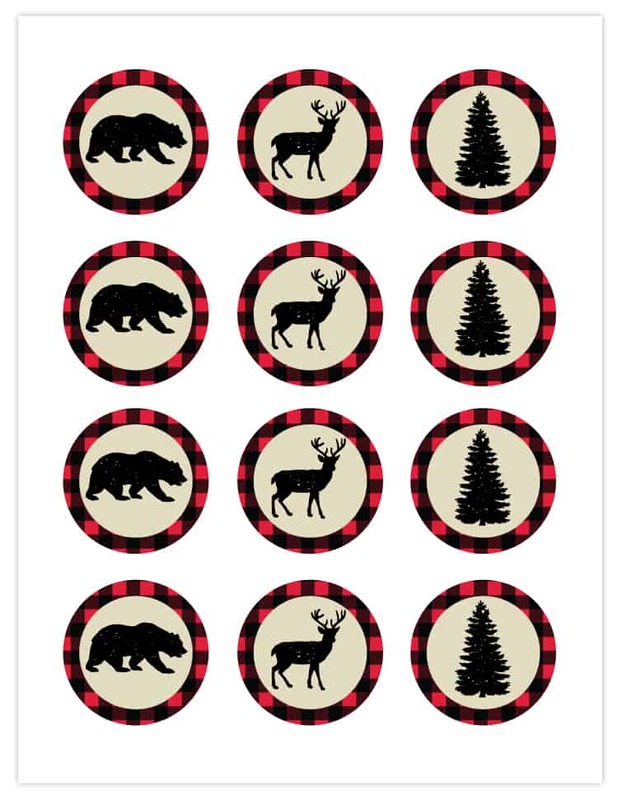 Next, I created some bear, deer and tree cupcake toppers. 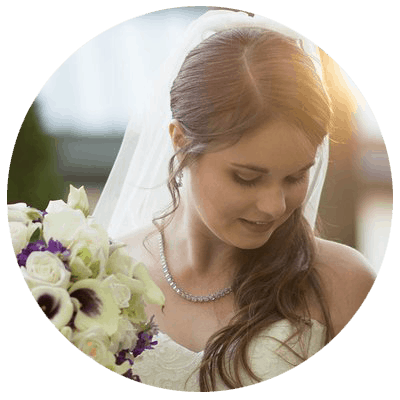 Each measures 2 inches in diameter and will print 12 on an 8.5×11 piece of paper. I’d recommend printing these on white cardstock and then taping toothpicks to the back to stick into your frosted cupcakes. 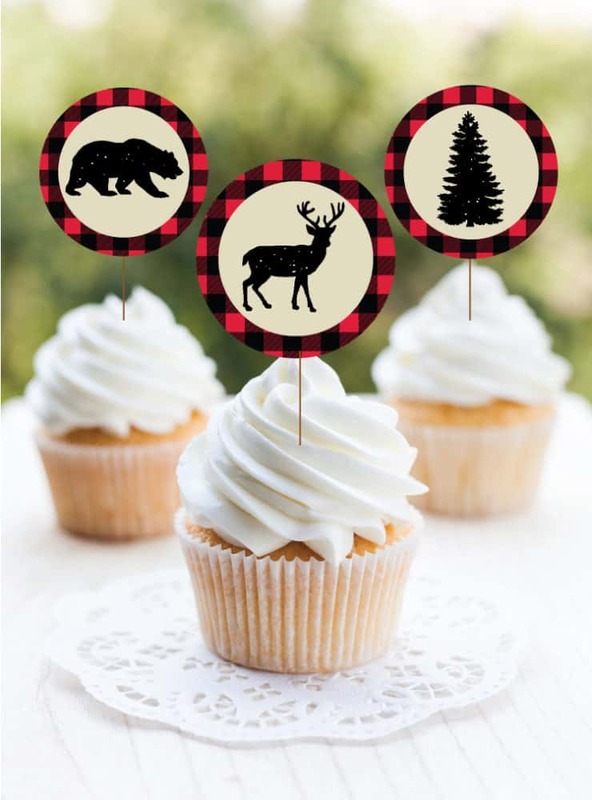 Click here to download the printable cupcake toppers. Finally, I wanted to make some fun labels to jazz up the water bottles at the party. 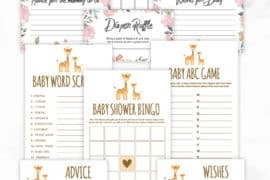 Each label measures 8x2inches and will print 5 different designs on an 8.5×11 piece of paper. For these, I’d recommend printing on regular printer paper instead of cardstock so it will wrap around the bottle more easily. 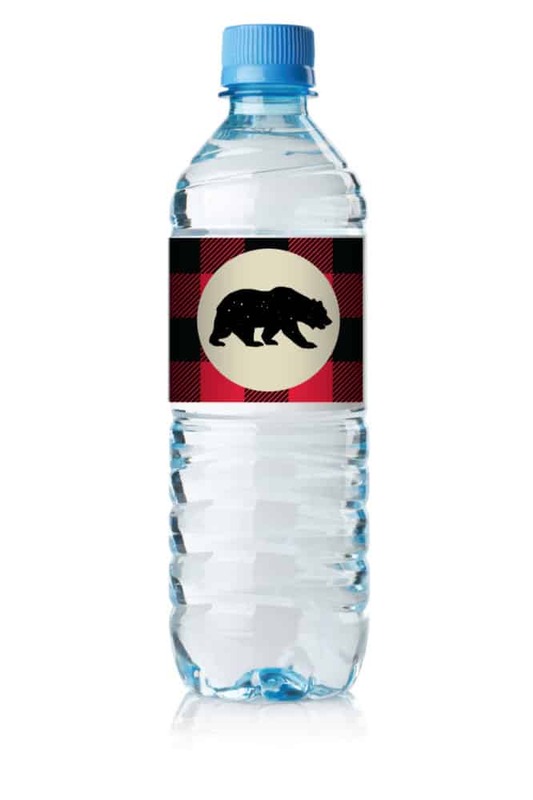 Click here to download the water bottle labels. *Colors may vary slightly from what is shown on your screen. The quality of the print may also depending on printer/ink and type of paper used. 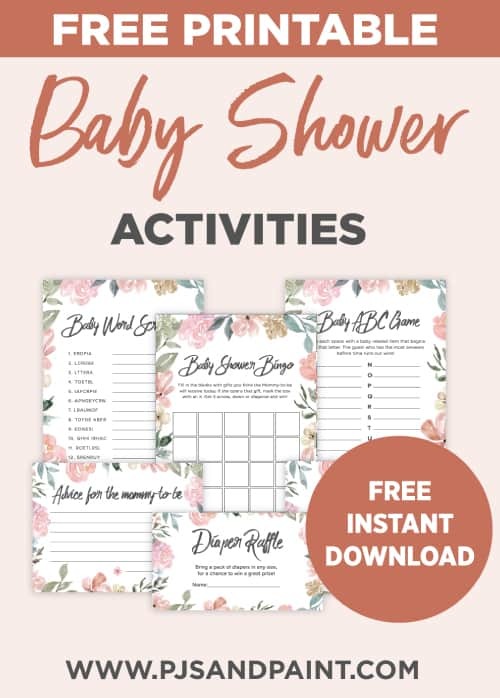 Your printables are so cute. 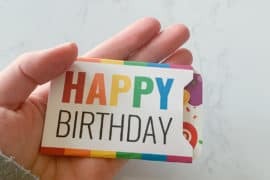 I love the Happy Birthday banner. The cupcake toppers look so nice on the cupcakes. I like the idea of the water bottle labels. This is a nice theme for a birthday.